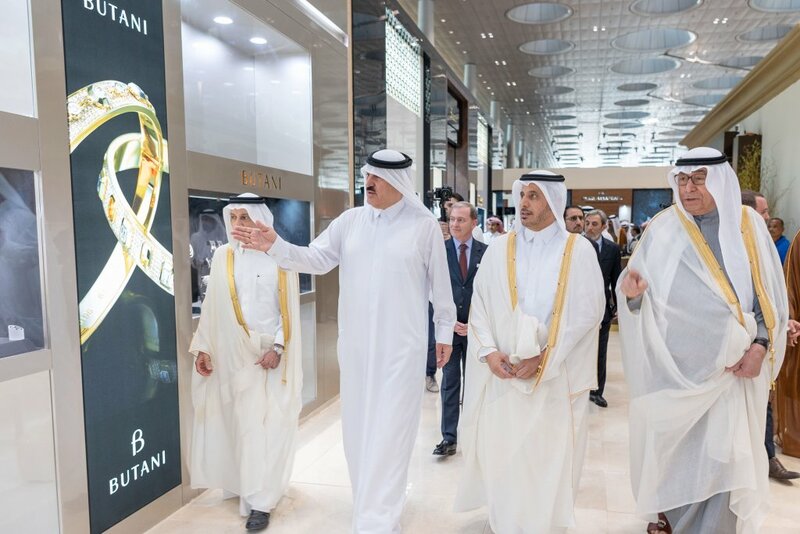 The 16th Doha Jewellery and Watches Exhibition was opened yesterday by its Patron, His Excellency the Prime Minister and Minister of Interior, Sheikh Abdullah bin Nasser bin Khalifa Al Thani. Also in attendance were a number of Their Excellencies, Ministers, Ambassadors, VIPs and industry experts. 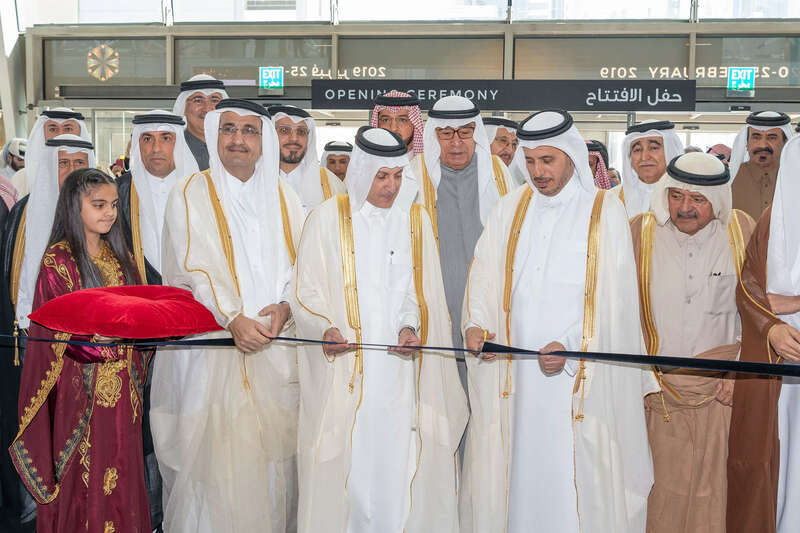 Following the opening, His Excellency toured the 29,000 sqm exhibition at the Doha Exhibition and Convention Center (DECC), which runs for six days and is organised by QNTC in association with Auditoire. The exhibition offers exclusive pieces from the world’s finest jewellery and watch brands, and provides visitors with a hands-one experience in the jewellery industry, exclusive designs and more than 500 brands from over 10 countries. DJWE is open to visitors every day from 12 noon until 10pm until Monday, 25 February, and on Friday between 4pm and 10pm. 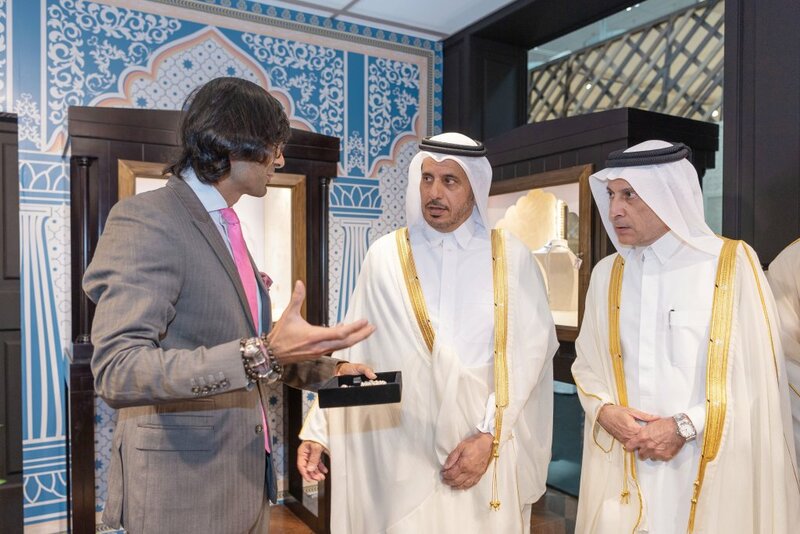 Qatar’s premier jewellery and watches patrons are exhibiting and presenting their collections to an international audience, including Alfardan Jewellery, Ali Bin Ali Group, Al Majed Jewellery, Amiri Gems WLL, and Fifty One East. This year’s edition sees the participation of world-class brands for the first time, such as Tiffany & Co. and L’Atelier du Bracelet Parisien, and the return of Bulgari to showcase its unique collection of luxury jewellery and watches. The Young Qatari Designers (YQD) initiative will be part of the DJWE for the third time under the patronage of H.E. 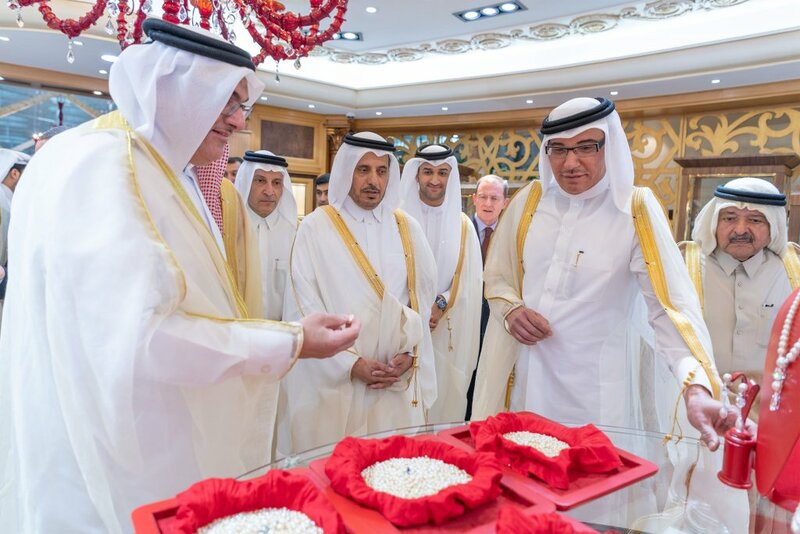 the Prime Minister of Qatar and Minister of Interior, supporting Qatari talent and highlighting their creations and designs. Under the YQD initiative, 12 local designers are participating in a pavilion dedicated to Qatari talent. This year, the spotlight is on nine returning and three new talented Qatari designers. Those returning are Fajr Al Attiya of Trifoglio, Ghada Albuainain of Ghada Albuainain Jewellery; Hissa and Jawaher Al Mannai of Ghand Jewellery; Leila Abu Issa of Leila Issam Fine Jewellery; Nada Al Sulaiti of Hairaat Fine Jewellery; Nouf Al Meer of Nouf Jewellery; Sarah Al Hammadi of Sarah’s & Co; Noor Al Fardan of Noudar; and Shaikha Al Ghanim of AlGhla Jewellery. Designers taking part for the first time include Abdulla Yussif Fakhroo of Midad Jewelry; Noora and Mariam Al Meadadi of Thameen Jewellery; and Sameera Al Mulla of Hessa Jewels.  The 16th edition of DJWE is part of the celebration of the Qatar-India Year of Culture 2019, and the public will be able to visit the Indian Pavilion, displaying the dazzling collections of 13 designers representing the most important brands from across India. Participating designers reflect the diversity of the country’s rich heritage and culture through their unique jewellery designs. Qatar Airways, DJWE’s Official Airline Partner, also announced the presence of internationally renowned Indian film actress and fashion icon, Aishwarya Rai Bachchan, who added glamour to the exhibition’s opening as a special celebrity guest, accompanied by a delegation of dignitaries including the Ambassador of India to Qatar. Rai toured the glittering Indian Pavilion and visited the booths to view the fine jewellery collections of each of the 13 designers. She also met with fans and visitors at the exhibition in the presence of local and international media.In addition, prestigious French watchmaking experts Objectif Horlogerie invites visitors to attend their unique handcraft workshop where they can learn about the fascinating and complex watchmaking industry and assemble their own unique watches. There will be a fee to participate in this workshop, which is available to a limited group of visitors, and participants will be given certificates of participation.Visitors can also get valuable information about the world of jewelry, diamonds and pearls, through jewellery manufacturing workshops conducted by master jewellers and gemmologists, which will give participants the necessary information about the world of diamonds and precious stones. The exhibition offers a wide range of jewelry services and consultations, including valuable advice from gem experts from the famous French auction house, Artcurial.